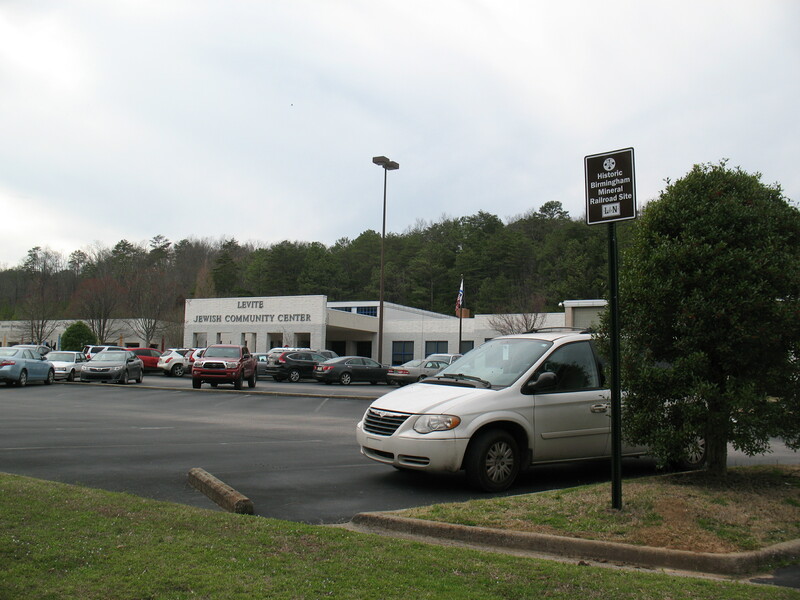 FOR A COMPLETE LIST OF ALL LOCATIONS WHERE SIGNS HAVE BEEN INSTALLED, SEE THE “Installed Signs by Location” PAGE. 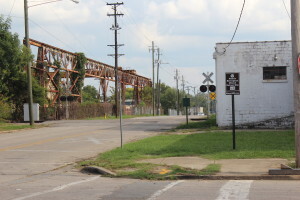 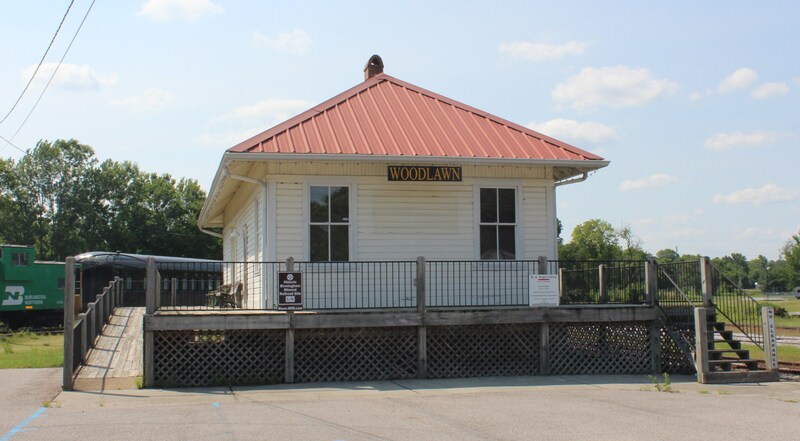 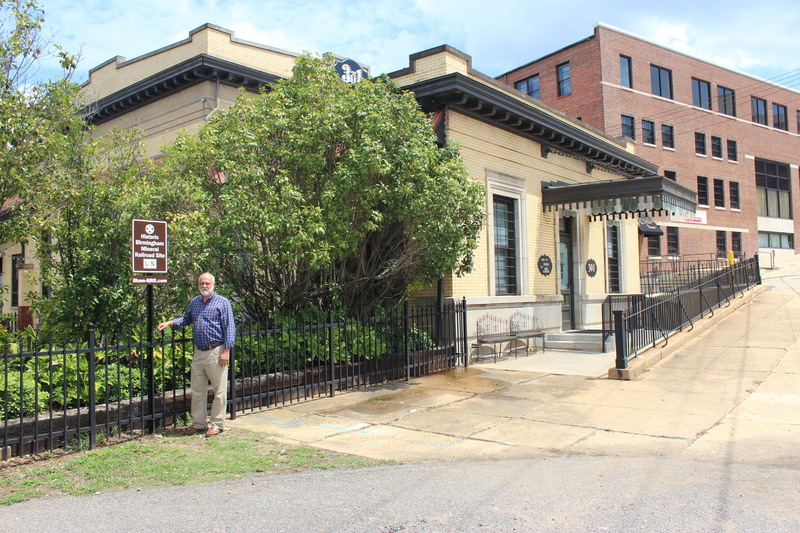 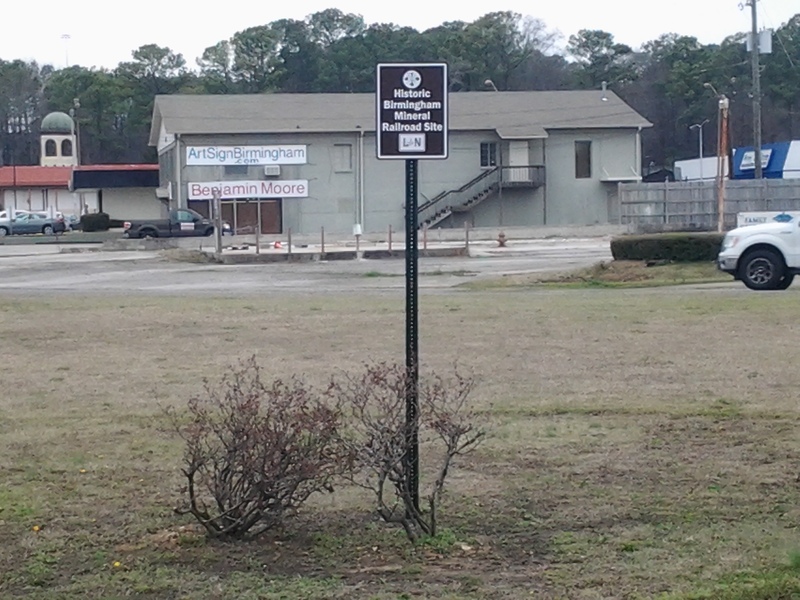 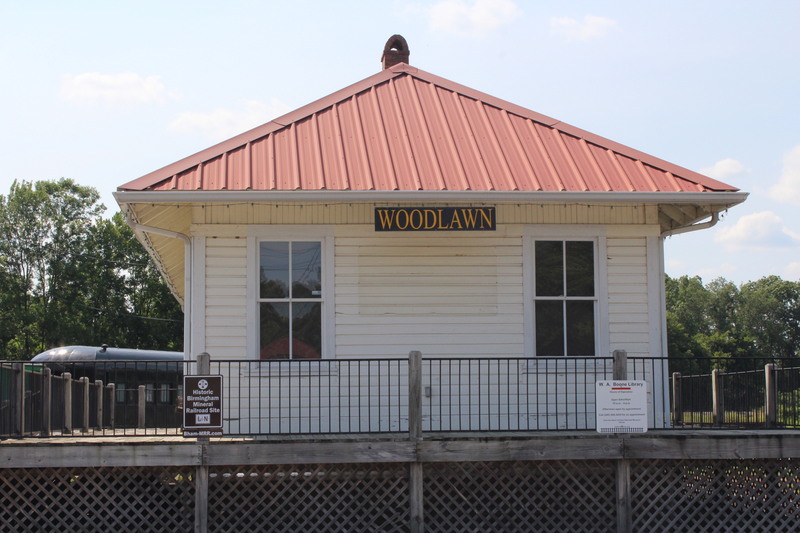 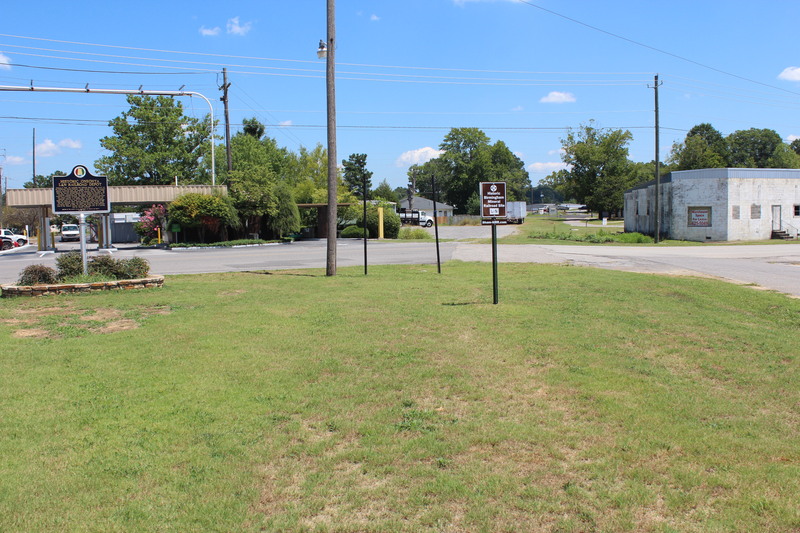 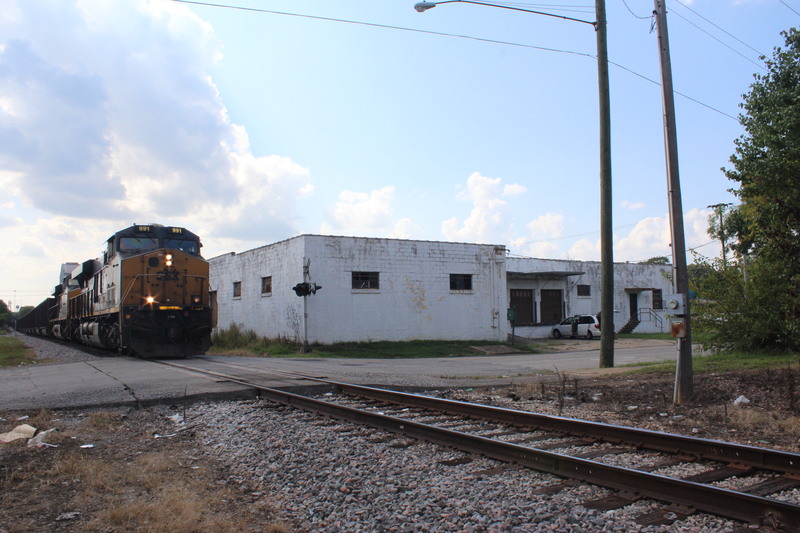 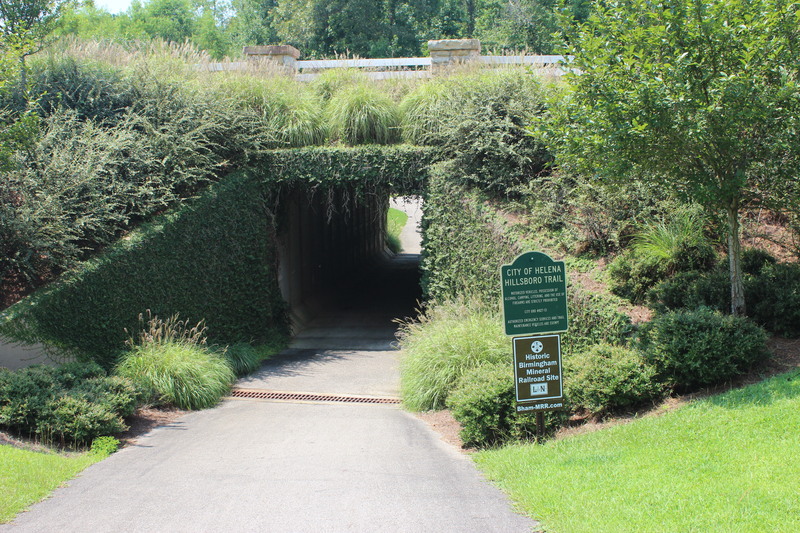 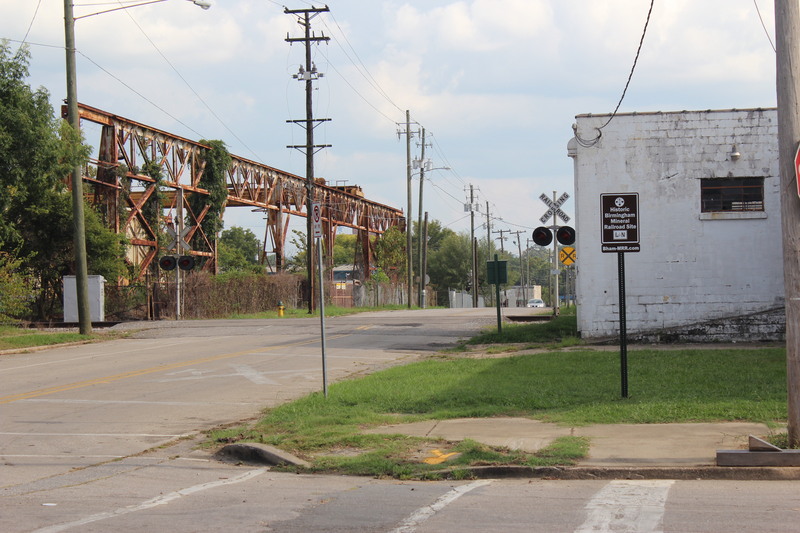 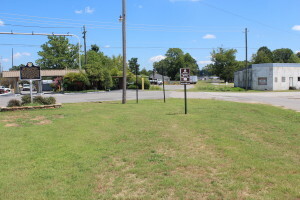 Historical significance of the location where the first BMRR sign was installed: The sign was installed on private property at 6501 1st Avenue South across the street from the site of the former Woodlawn Depot which has been preserved and moved to the Heart of Dixie Railroad Museum. (See “Historic Photographs” page for more information about the depot.) The property owner is proud that he owns part of the old BMRR roadbed and had acquired it knowing that he was getting the BMRR roadbed. 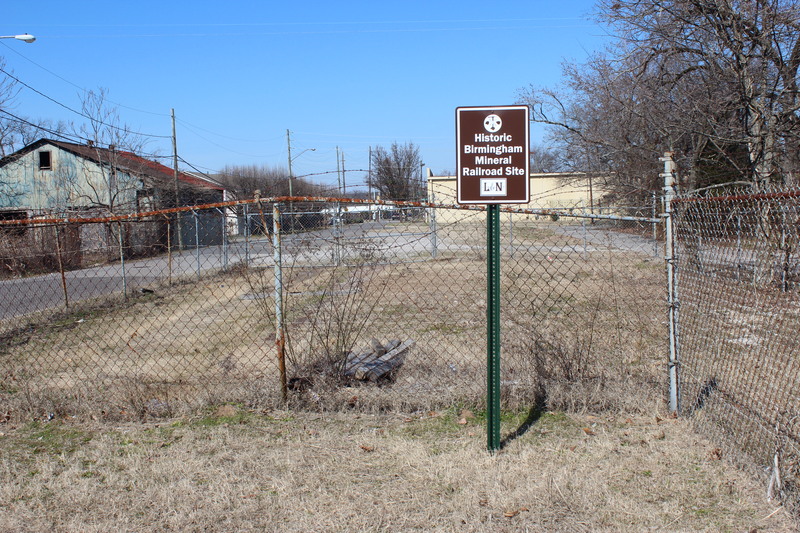 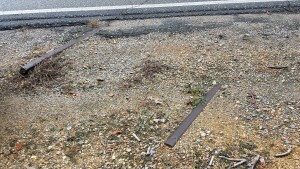 This site is historical not only because of its location at the former Woodlawn Depot site but also because (1) the crossties are about 6 inches underground here (my first probe with a rod to determine a location for the sign hit a crosstie! 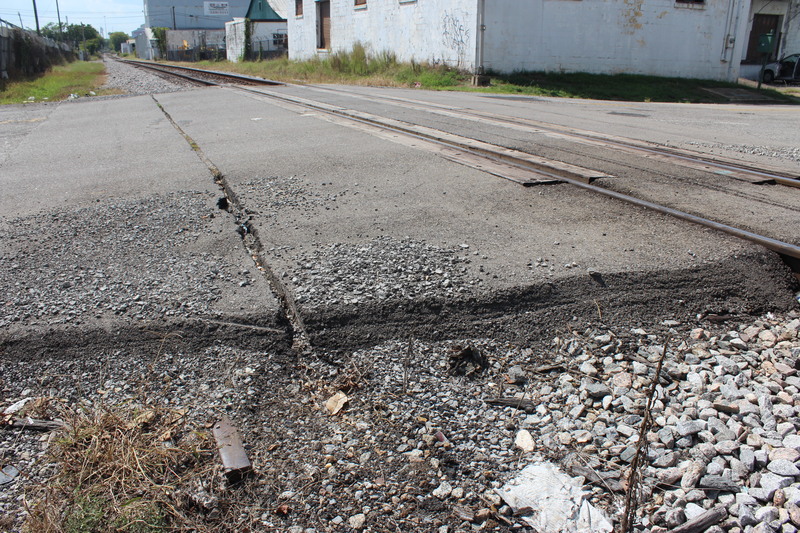 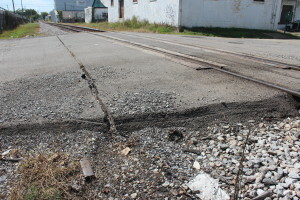 ), (2) the sign post is installed in BMRR ballast rock underground between the crossties, (3) you can see the patches in the asphalt on 1st Avenue South where the rails were taken up, and (4) the “Stop” sign at this site is mounted on a piece of the railroad track that the city must have driven into the ground for mounting the stop sign — a piece of BMRR rail was probably laying around and they re-purposed it! 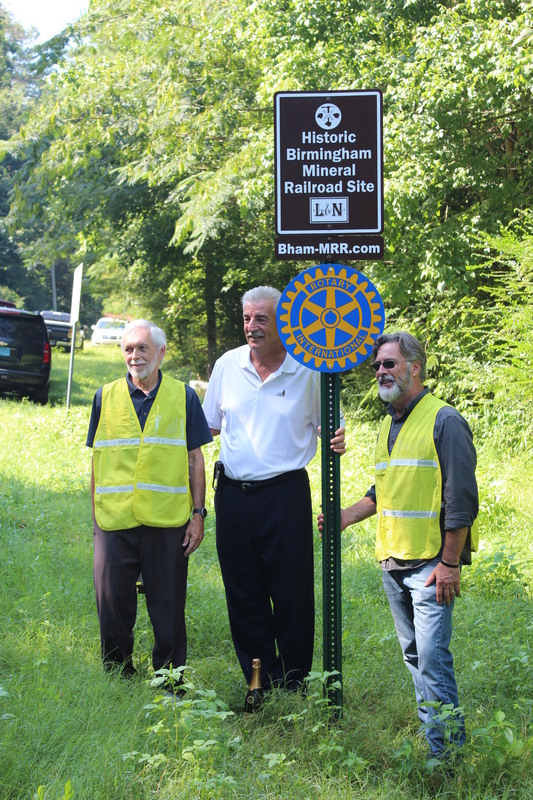 On August 4, 2016, The 100th BMRR sign was installed near the BMRR former Huntsville Branch No. 2 on the north end of Old Highway 75 in the former Village Springs community just south of the Blount County / Jefferson County line. 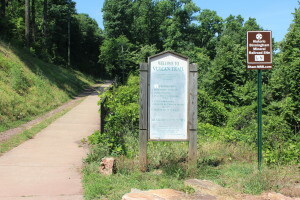 Village Springs had been a railroad and mining community during the period of the BMRR and was served by the BMRR passenger and freight trains. 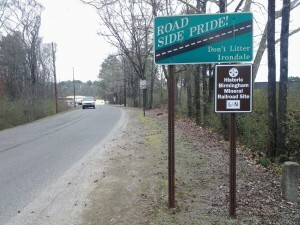 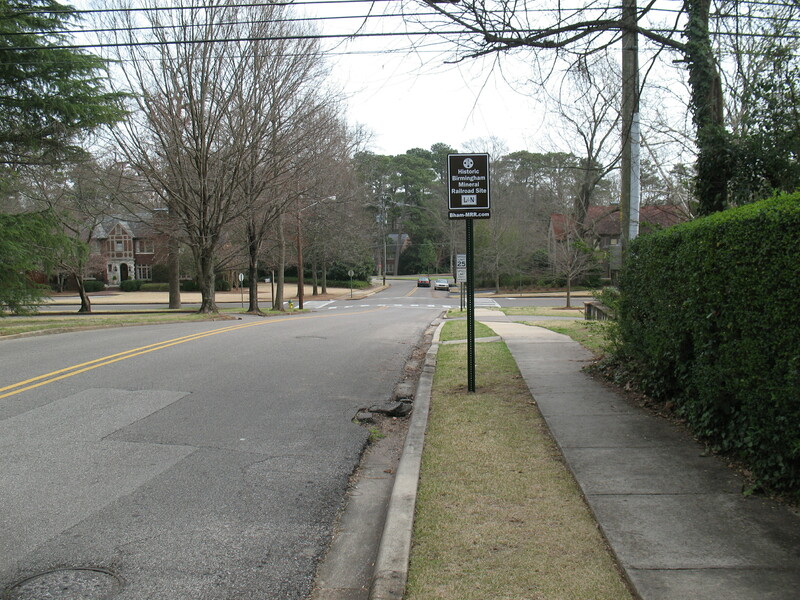 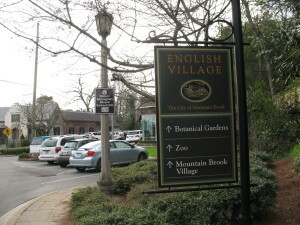 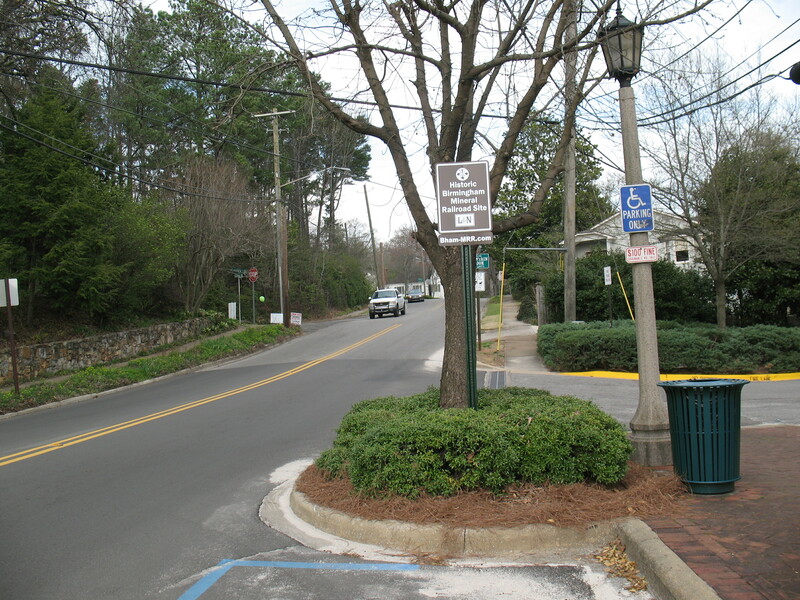 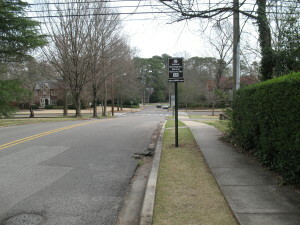 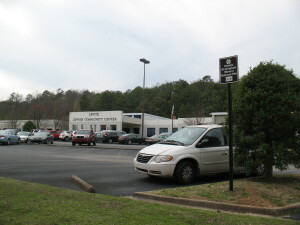 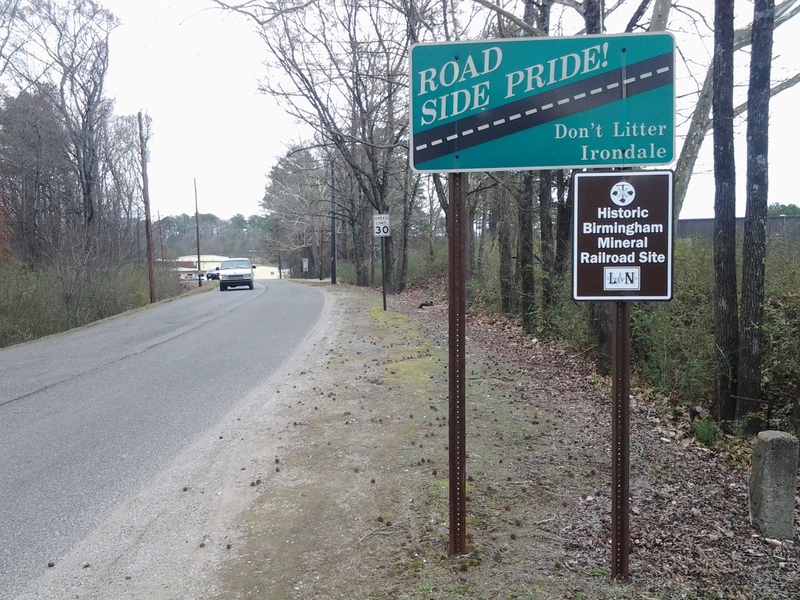 As part of the installation of that milestone sign (see photographs below), a short ceremony attended by 20 people was conducted and included the following two representatives from the Trussville Daybreak Rotary Club which sponsored this 100th sign: President Tommy Trimm and member Joe Knight. 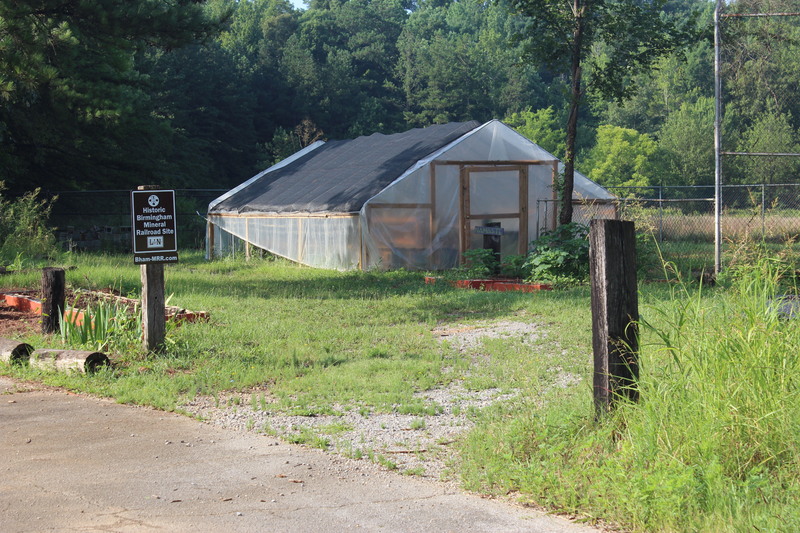 Mr. Knight also represented the Jefferson County Commission which had granted approval for this sign to be installed on Jefferson County right-of-way. 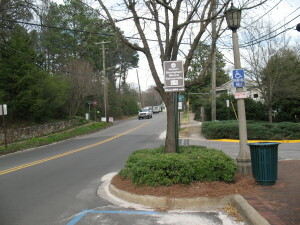 This installation is in Commissioner Knight’s district. 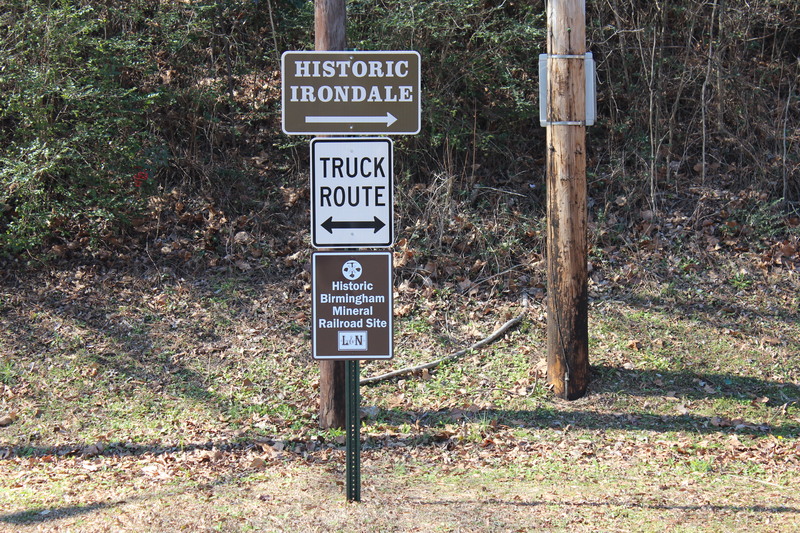 A big Thank You to the Trussville Daybreak Rotary Club and to the Jefferson County Commission for making possible this 100th sign! With installation of this 100th sign, we are honoring the Historic Birmingham Mineral Railroad and the Economic Development that it brought to the Birmingham area, and especially to outlying communities such as where we are today (Village Springs). 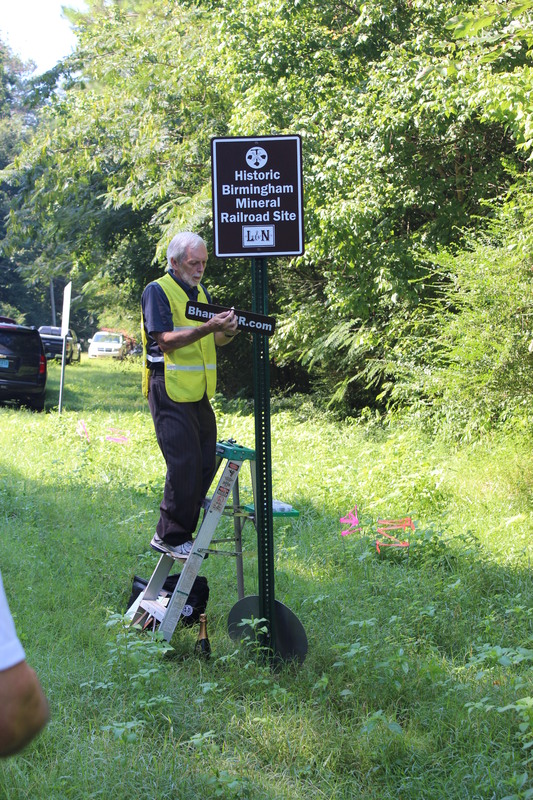 By installing these BMRR signs, we are helping to ensure that the history and memory of that important railroad will not be forgotten and will be passed-on to the young people of today and in the future. PHOTO 1 — Installing 100th sign, August 4, 2016. 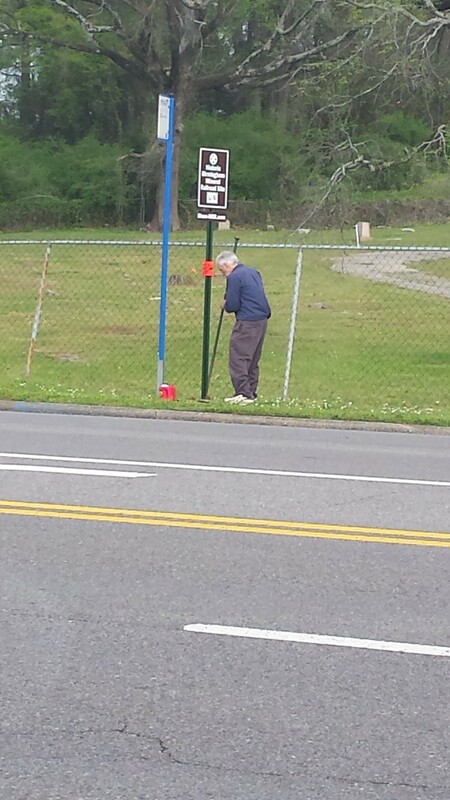 PHOTO 2 — Installing Trussville Daybreak Rotary Club sponsorship sign. PHOTO 3 — Project Coordinator James Lowery; Commissioner and Rotary Club member Joe Knight; and Rotary Club President Tommy Trimm. 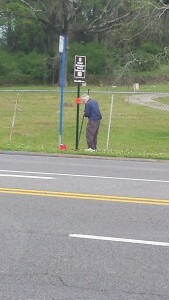 Grandson Jax Hendrick taking GPS reading after installation of sign in southwest Birmingham. 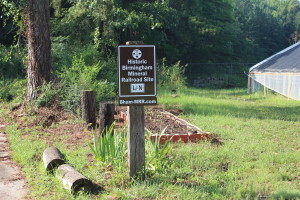 Installation of Sign Number 99 (BMRR North Branch). 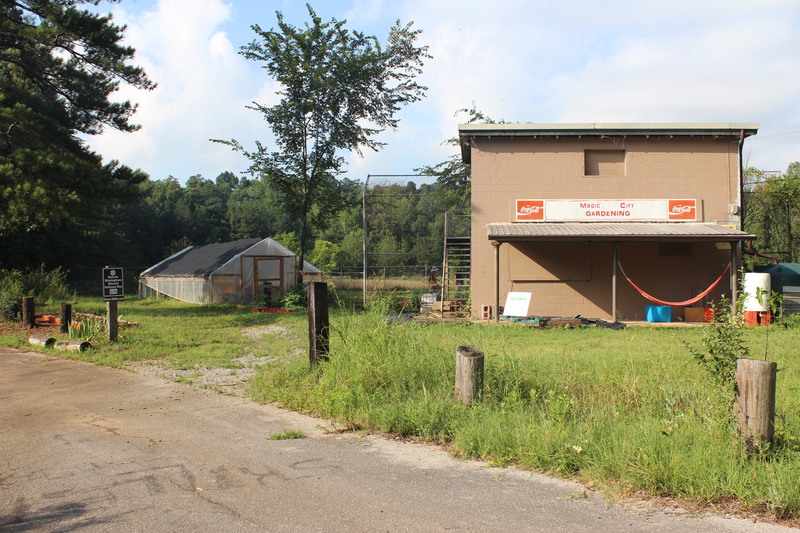 July 6, 2016. 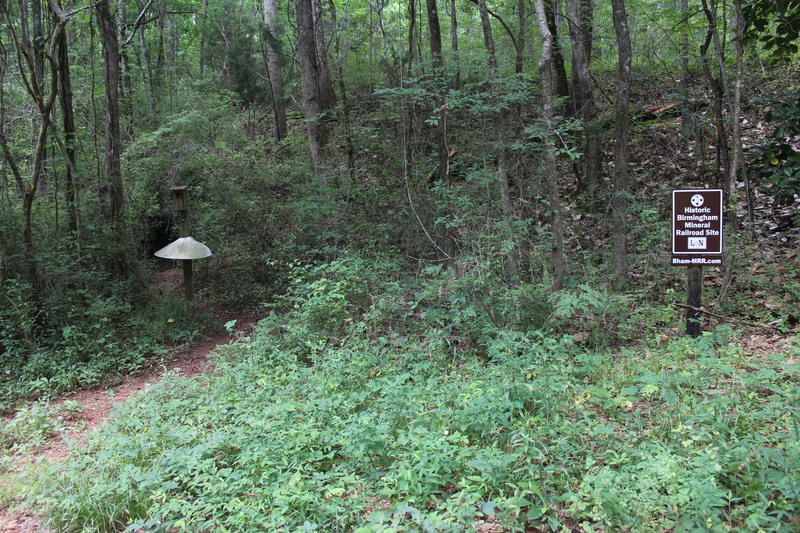 Shown with employee Jason Parham who facilitated permission and installation. 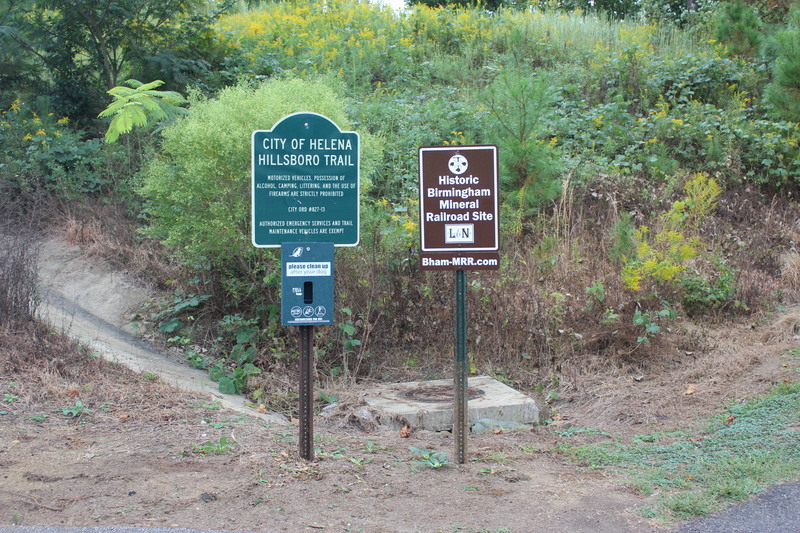 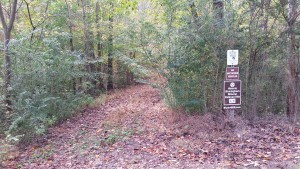 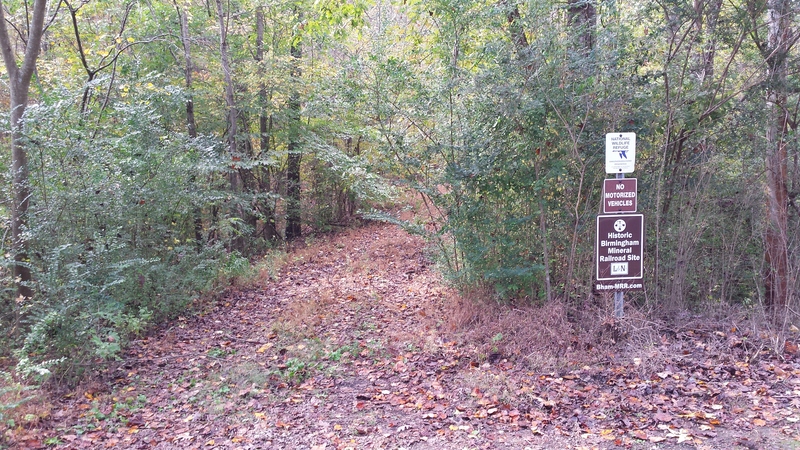 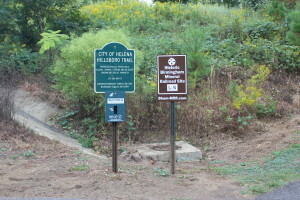 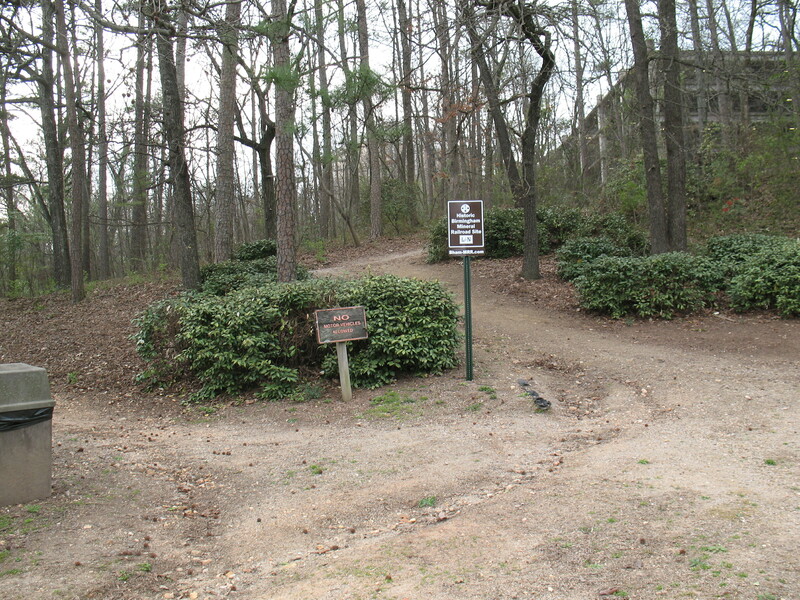 Ruffner Mountain Nature Preserve (Example of signs installed along the BMRR roadbed inside the Preserve; signs also have been installed at the two trail entrances on the Irondale side of the Preserve.) 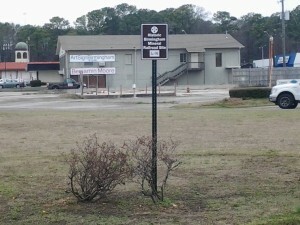 NOTE: Sign was installed on re-purposed old fence post. Ruffner Mountain Nature Preserve. 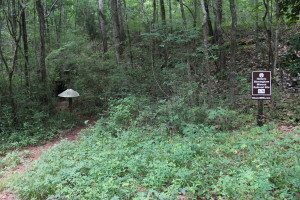 Raised BMRR roadbed is behind sign, and stone culvert is on left behind birdhouse. 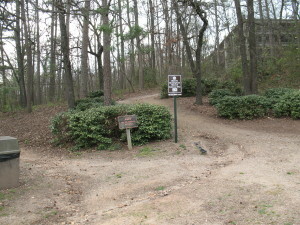 Ruffner Mountain Nature Preserve — Property located at the end of Dogwood Drive at site of former South Roebuck Ballpark and Swimming Pool (currently used by Magic City Gardening). 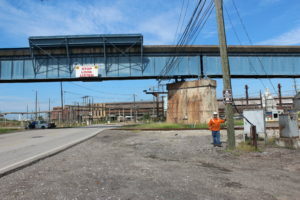 Sign is attached to old railroad crosstie previously vertically installed at entrance to ballpark and now re-purposed for mounting the BMRR sign. 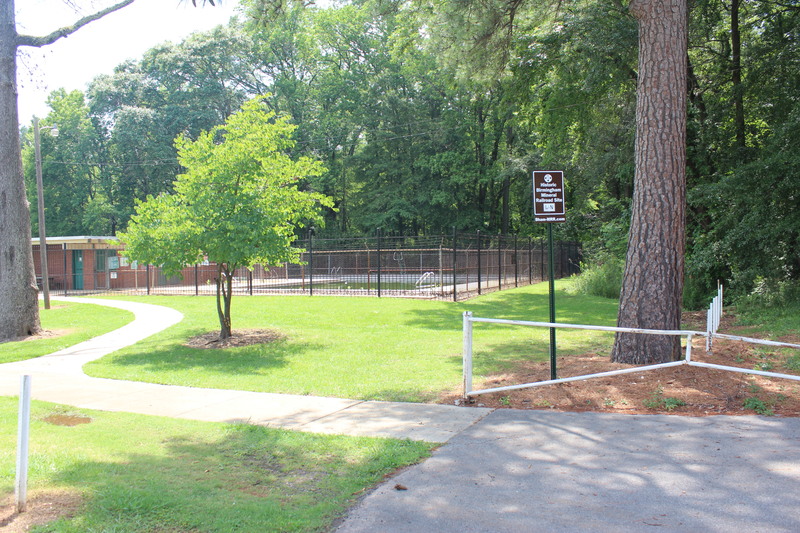 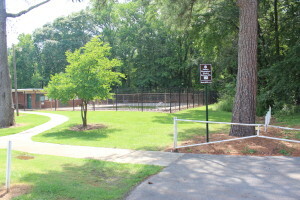 BMRR roadbed is in the wooded area beyond the former ballpark and swimming pool, but the roadbed is on private property and must not be entered without permission of the owner. 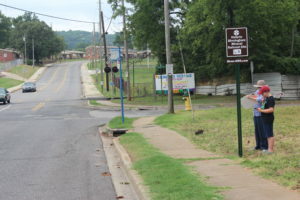 Sign is attached to old railroad crosstie previously vertically installed at entrance to ballpark and now re-purposed for mounting the BMRR sign. 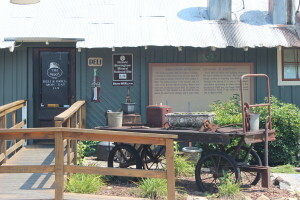 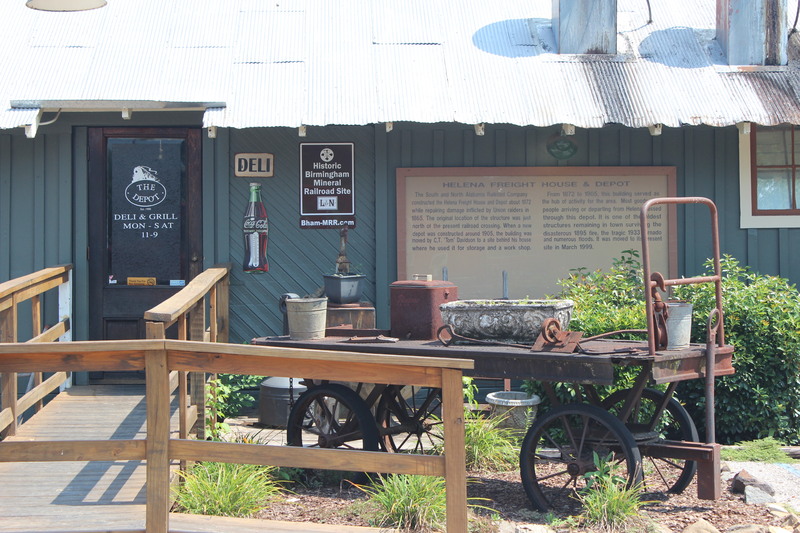 1872 Helena Freight House and Depot in use as a present-day restaurant with BMRR sign affixed. 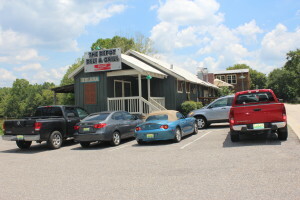 1872 Helena Freight House and Depot re-purposed as present-day restaurant. Restored by owners Bill and Bebe Lloyd. Shown with Bill Lloyd. 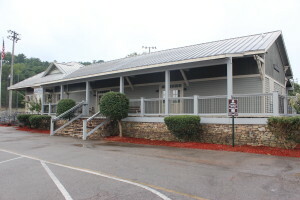 Oneonta Depot re-purposed as a present-day meeting facility and offices. 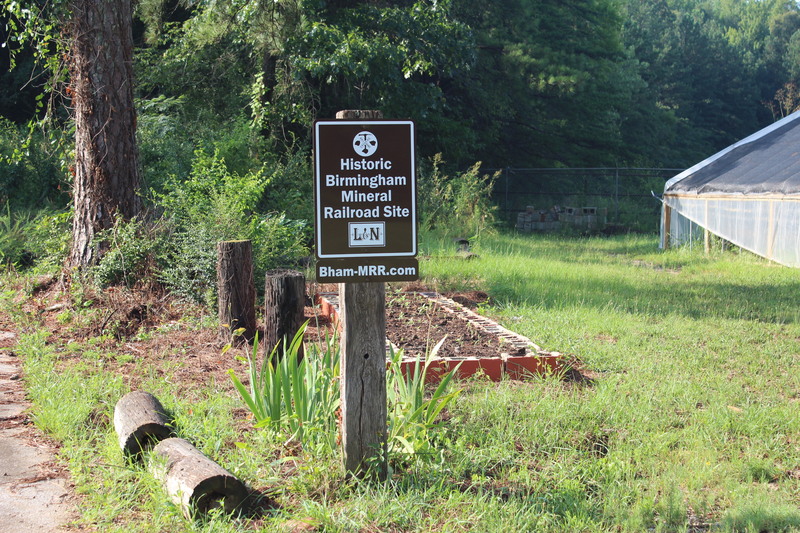 NOTE: BMRR sign is installed in the former BMRR roadbed at Railroad Boulevard. 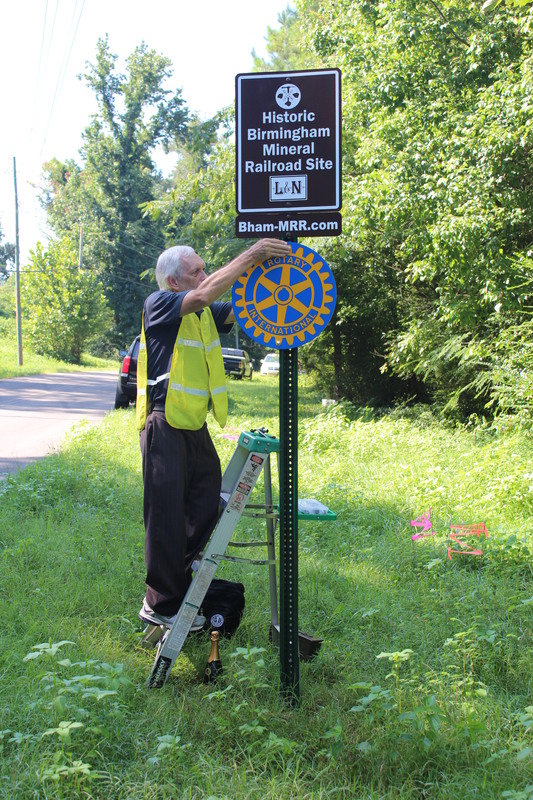 Another BMRR sign also is installed beside Champion Mines historic marker on US Highway 231.